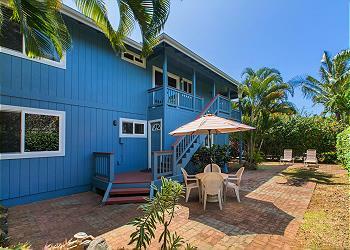 A beach house with true Hawaiian feel, this is the quintessential tropical holiday getaway! 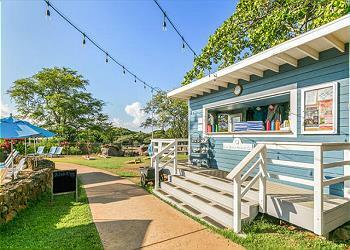 Just steps from the beach, Koali Surfrider provides a welcoming atmosphere, inspiring Aloha within all. 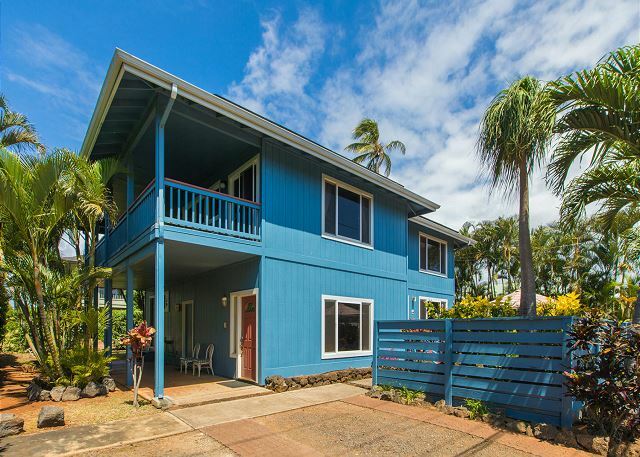 This bright suite is the top story of the much-loved Koali Hale vacation duplex. 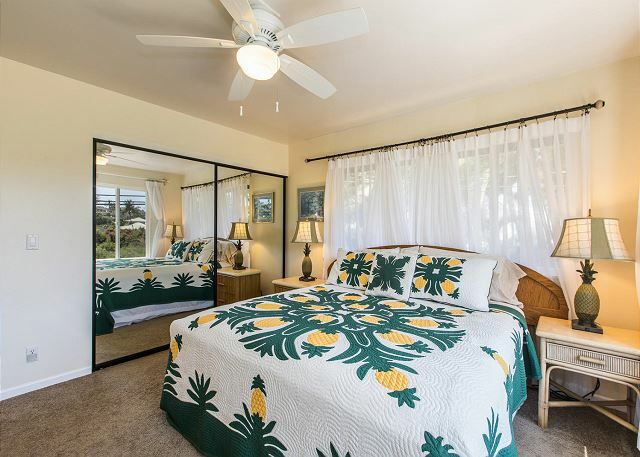 With 2 bedrooms, Surfrider can comfortably accommodate 6 people and is the perfect gathering place for friends and loved ones. A gourmet kitchen is stocked with cookware, appliances and utensils. A BBQ is supplied to grill up local fish or produce. And an open-air lanai is set for laughter and lounging. 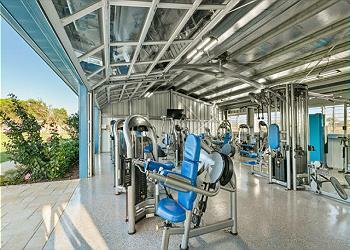 Enjoy central A/C or fresh sea breezes rolling right off the nearby waves. With special access to the Poipu Beach Athletic Club, this clean, comfortable and cheerful beach hale has something for everyone! We loved how convenient this place was to the beach, restaurants, and more! We had a great experience and check in and out was a breeze. Great rental! 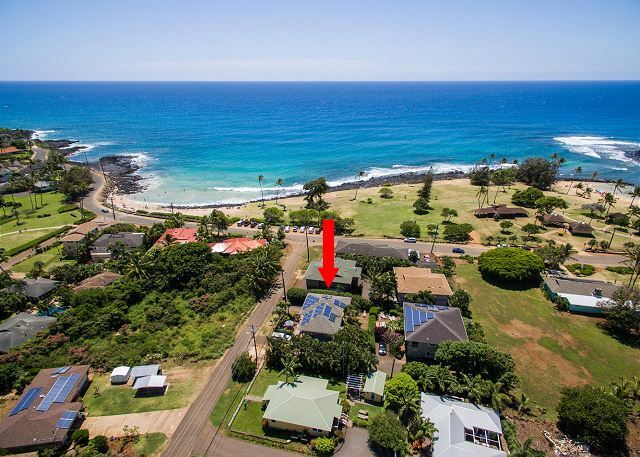 This house is half a block from Poipu Beach Park and Brenecke Beach. So easy to walk to beach and to enjoy the sights. 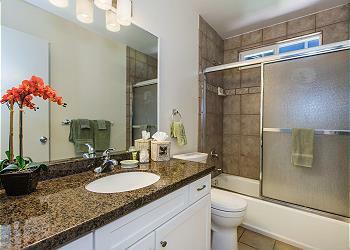 Two large bedrooms and two nice bathrooms made sharing with another couple very easy. The kitchen was huge, and well stocked with everything we needed to cook meals. It also has a great barbecue on the deck. The tv,internet, AC, and ceiling fans worked great! A real bonus is the storage room downstairs that had all kinds of beach equipment (6 beach chairs, 2 umbrellas, masks, fins, snorkels, boogie boards, and little kid toys) These items are shared with the other unit. The laundry room is also downstairs and has a nice high efficiency washer/dryer. (Note: have to turn both handles on the door to get in after entering the code.) Two items would be helpful: a steel brush to clean barbecue, and a glass cleaner to clean the glass table top in the kitchen. A great place, a great vacation!! This is a beautiful place. 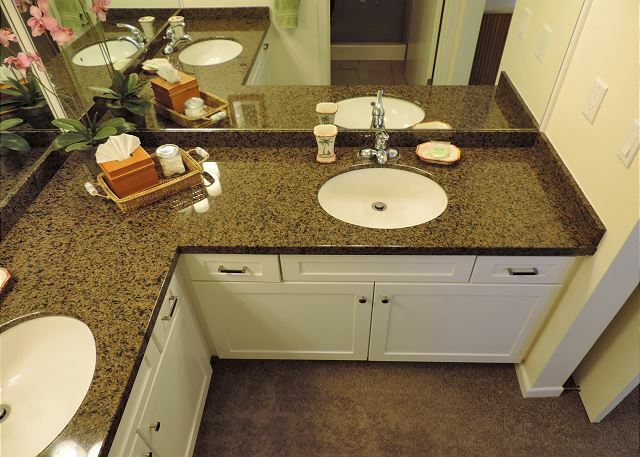 Very clean with great furnishings! The best part was the location...just steps to the beach. The owner was so kind and helpful. I would book here again without hesitation. My husband and I were traveling with 2 small children and my parents, so we wanted a comfortable place that was convenient to the beach. (Not even a 5 minute walk with toddler who insists on walking.) This was a home run on both points. 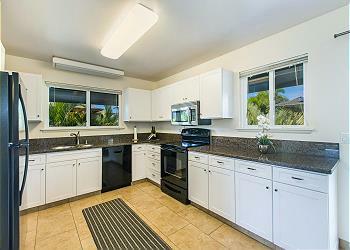 Securing the rental was very easy, and the team at Kauai Exclusive Management were so nice. The house was spacious with everything we needed to cook, relax / sleep, and enjoy the beach (i.e. towels, chairs, boogie boards, sand toys, etc). It even had full size washer and dryer. 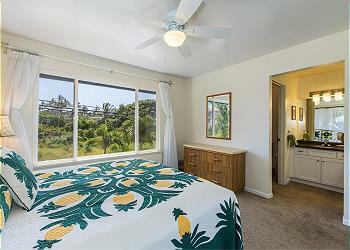 Staying in Po'ipu was also the right choice. Unfortunately, we were there during a thunderstorm that flooded the north part of the island. For us in the south, there were a few showers and it was mostly overcast, but nothing that stopped us from going to the beach and still having a wonderful time. Also, while at the Po'ipu baby beach, there were 3 large turtles resting in the sand and a monk seal even swam by to say hi. 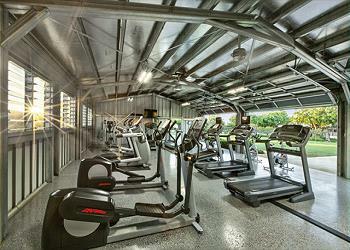 We've rented a lot of homes and condos over the years and found this as one of the best. It's steps away from Poipu beach. 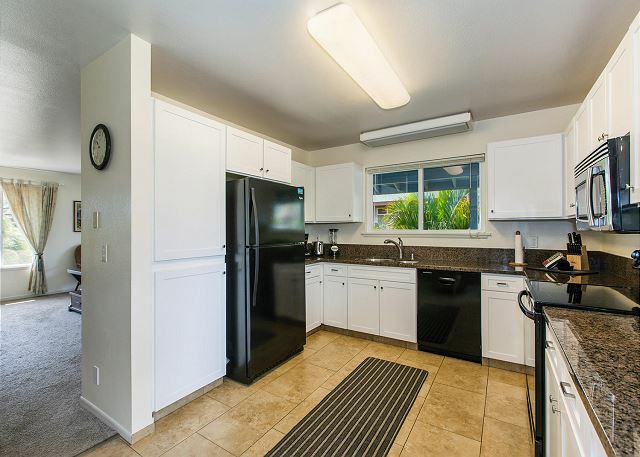 Has a well appointed kitchen complete with coffee grinder, blender, all the necessary utensils, bowls, serving dishes, pots and pans. Loved the grill! Large wrap around lanai. Comfortable living area; 6 of us were able to watch TV! Utility room has all the beach stuff; boogie boards of all sizes, a surf board, chairs, large beach mat, cooler, wagon to cart all the stuff to the beach. The beach umbrella is missing the pole that goes into the ground. There's a pop up sun shade someone left but we couldn't figure out how to work it. Plus, it was too windy during our stay for ANY shade device! Interior and exteterior were well maintained. 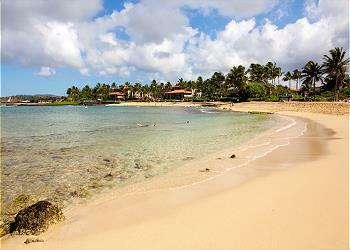 My wife and I along with our two adult daughters recently stayed at the Poipu Koali Surfrider. My first comment are the pictures on the website do not justify how nice and how close to the beach this rental actually is. Upon arriving we found the rental to be in excellent condition and very clean. It had all the comforts home throughout. We even found they had an activities closet, which had a surfboard, boogieboards, beach chairs, umbrellas, snorkel gear and even a wagon to haul it all to the beach. 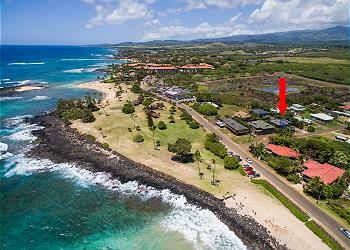 In regards to the location, this beach house is literally a 3 minutes walk to the sands of Poipu Beach. In the evenings we were able to walk to the beach, watch the sunset and the turtles swim up and onto the beach and then the following morning return to watch the turtles return back into the water. This was a bonus to being at the beach all day and being able to walk back to the beach house at anytime for a quick rest or a bite to eat. 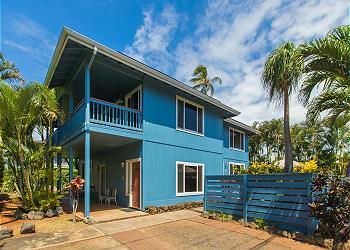 We definitely plan on returning to Kauai and renting this beach house again! !